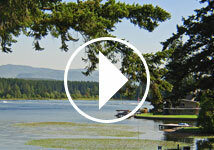 Did you know that Hood Canal is one of only two inland fjords in the lower 48 states? Dow Creek is 97 miles from Seattle at the base of the Olympic Mountains near Hood Canal. Dow Creek is near and provides access to the 10-mile long Lake Cushman. 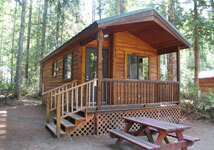 The campground offers every kind of outdoor activity, from hunting and fishing to golf and water skiing. The area is virtually surrounded by Olympic National Forest with the justly famous Staircase area just minutes away. Open the year round. No membership required to book now. If you are currently a Sunrise Camp Club Member please call the resort directly OR you may use the ” Sunrise Member Reservations” at the top to request a reservation. This Booking site is only for RV and Tent sites. Please call the resort directly for Cabin Rental reservations or you can submit a reservation request and a reservationist will contact you . By clicking Reserve Now you will be redirected to an Online Reservation page. Contact us for our Monthly rate Info. Enjoy our resort campgrounds and all of our amenities even if you don't have an RV. With the same comforts of home you can stay in one of our many vacation rentals. Enjoy our swimming pools, jacuzzis, clubhouses, laundry facilities, boat slips & launches, children's playgrounds and game rooms, and much more. Sunrise Resorts is the best way to relax and enjoy yourself in the great outdoors. We also offer camp club programs that make RV camping affordable for everyone from the full time traveler to the weekend camper. Already a Camp Club Member?